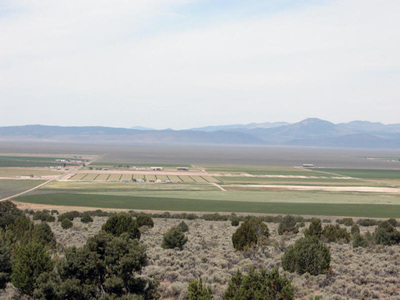 Diamond Valley is	a valley containing a farming area in central Nevada between the Sulphur Spring Range and the Diamond Mountains. The valley is located almost entirely within Eureka County, but the northern end crosses into Elko County. 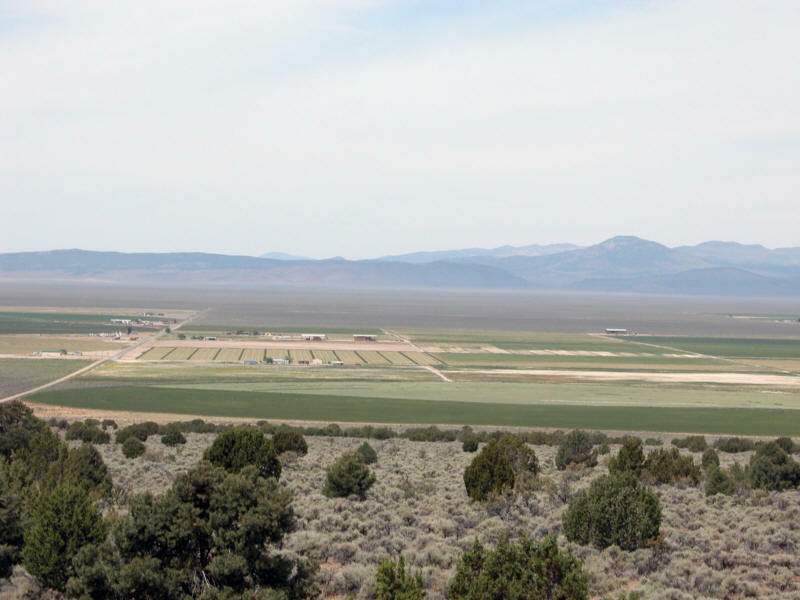 The valley is up to 12 miles wide and over 45 miles long. 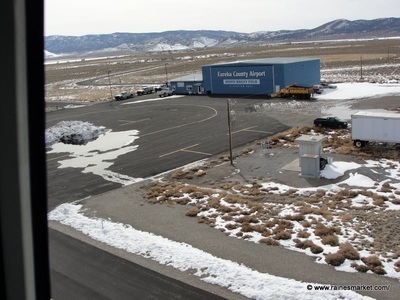 The town of Eureka lies in the foothills at the southern end of the valley, while the northern end is an alkali flat. 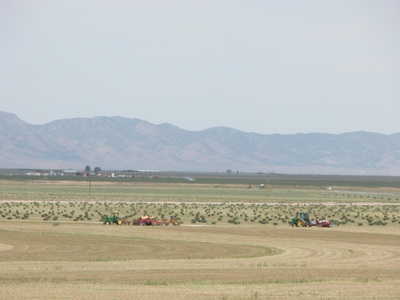 Farming in the area blossomed with Desert Land Entries during the late 50s and 60s. Water is pumped from underground sources and the fields are irrigated today mostly by irrigation pivot systems. 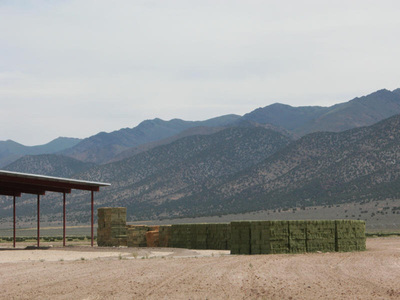 Many crops have been experimented with, including potatoes and garlic, but the staple crop of the area is high-altitude hay, mainly alfalfa and timothy. 21st century challenges with enough irrigation water are leading farmers to again research more water efficient crops and methods of farming. 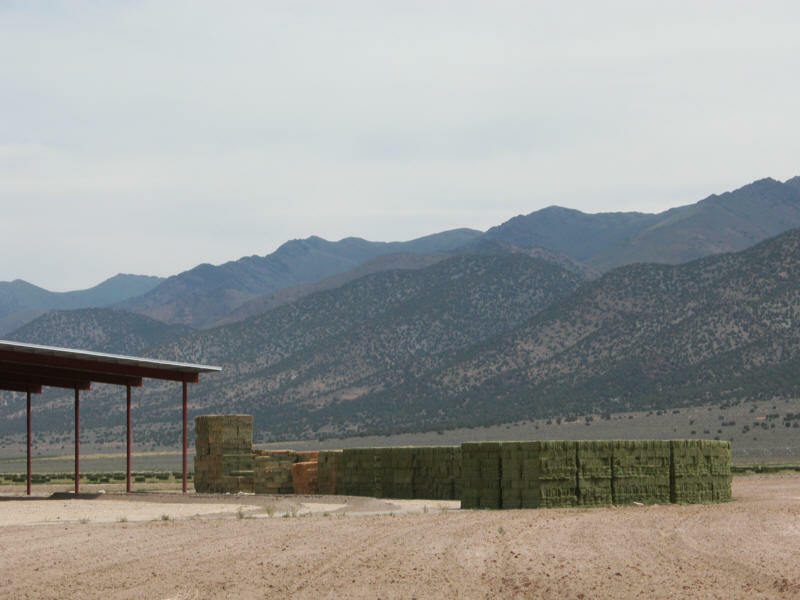 The Diamond mountains cover an area of 293.4 square miles, and reach an elevation of 10,029 feet at Diamond Peak, which dominates the central portion of the range. The mountain range lies between Newark Valley to the east, and Diamond Valley to the west. 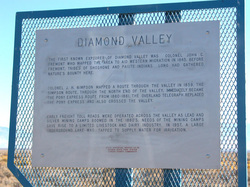 "The first known explorer of Diamond Valley was Colonel John C. Frémont, who mapped the area to aid western migration in 1845. 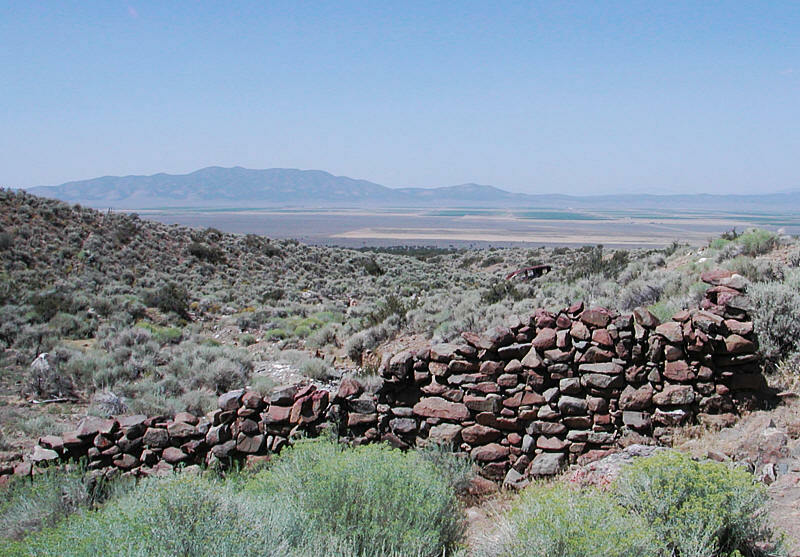 Before Frémont, tribes of Shoshone and Paiute Indians long had gathered nature's bounty here. Colonel J.H. Simpson mapped a route through the valley in 1859. 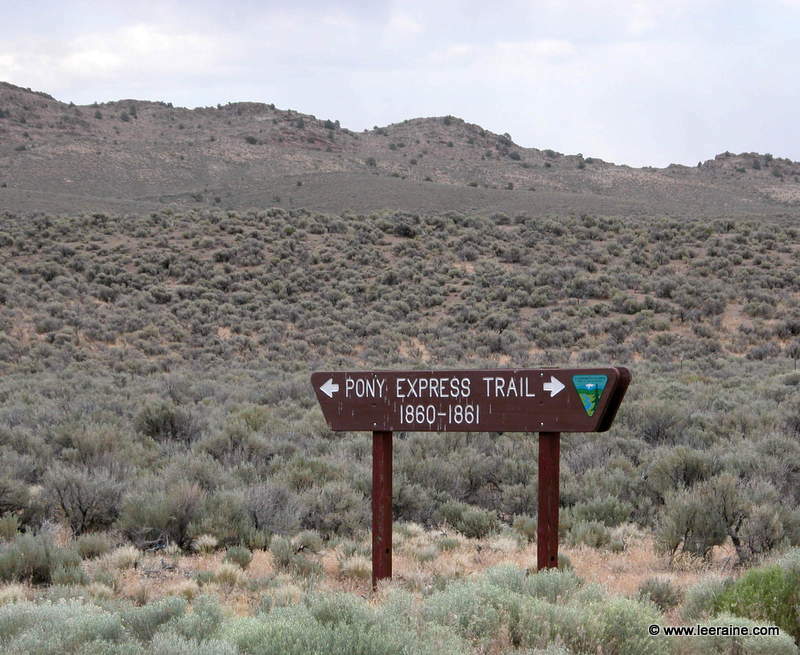 The Simpson route, through the north end of the valley, immediately became the Pony Express route from 1860-1861. The Overland telegraph replaced the Pony Express and also crossed the valley. 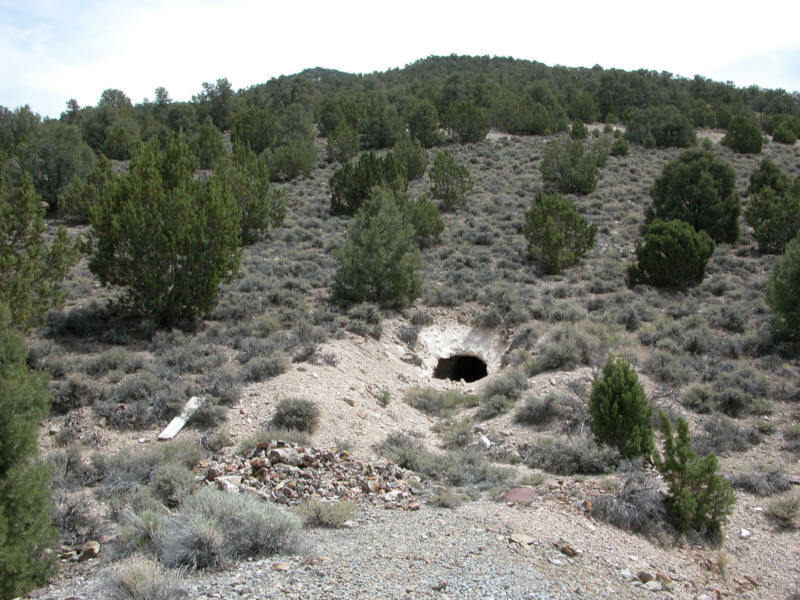 Early freight toll roads were operated across the valley as lead and silver mining camps boomed in the 1860's. Needs of the mining camps gave rise to a limited livestock and dairy industry. In 1957, a large underground lake was tapped to supply water for irrigation." 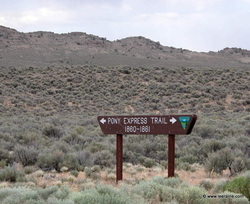 Eureka County was crossed by the historic Pony Express route. Ghost town in central Diamond Valley Diamond Springs served as a Pony Express station during 1860 and 1861, and later the Overland Stage. A telegraph station was also built. 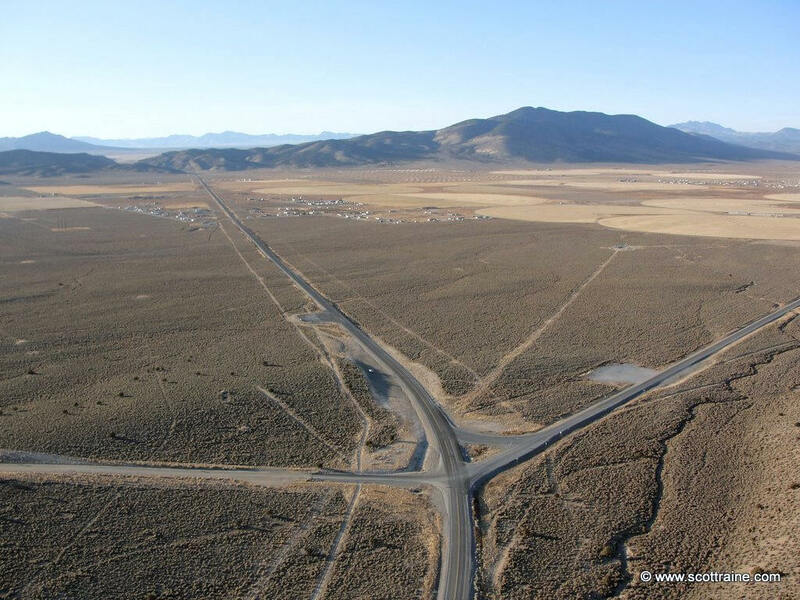 The town of Diamond City formed nearby on the foothills of the Diamond Mountains after silver discoveries were made in 1864. A post office opened at the town in 1874 and closed in 1884. After the mines shut down in the late 1870s, the charcoal kiln kept the town alive. 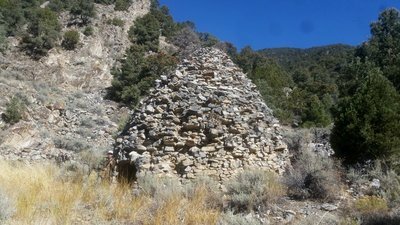 Today, mill foundations, stone ruins and charcoal kilns remain at Diamond City and other settlements in the Diamond Mountains. 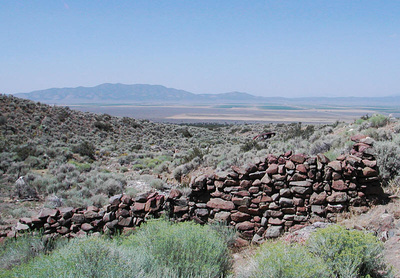 Remains of the Overland Stage station still stand at Diamond Springs.